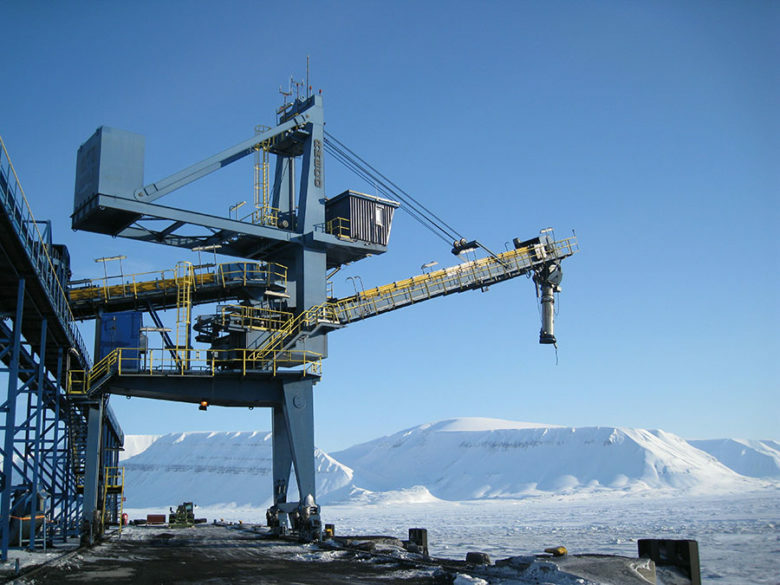 AMECO delivers the latest-generation, robust quality bulk handling equipment. Its products include, for example, stackers, reclaimers, and shiploaders. Manufacturing in Europe, the company has over 380 references on every continent in the cement, commodity food, fertilizer, mining, power generation and pulp and paper industries. AMECO was founded in 1932 in Alsace, a French region that lies in between the Vosges Mountains and the Rhine River, bordering both Germany and Switzerland. Having closely worked with the Alsatian potash mines, AMECO went from providing maintenance services, to the supply of conveyors, to delivering all types of equipment to fulfill material handling needs. This technology allowed AMECO to develop into different markets, such as glass factories and electricity power plants where bigger storage facilities were required at the time. In the 1950s, AMECO was well known in France and the surrounding countries. At this time, it was one of the first Western European companies providing machinery to Russia and the Eastern bloc. This early international focus, not usual at the time, is the origin of AMECO’s global presence today. AMECO has a strong presence in the coal industry. Many power plants run on hard coal and lignite. 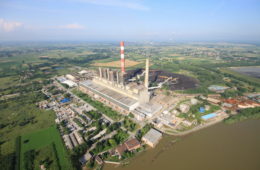 These power stations employ strategic bulk material storage facilities, in which coal of different originsand diverse quality levels is temporarily stored. 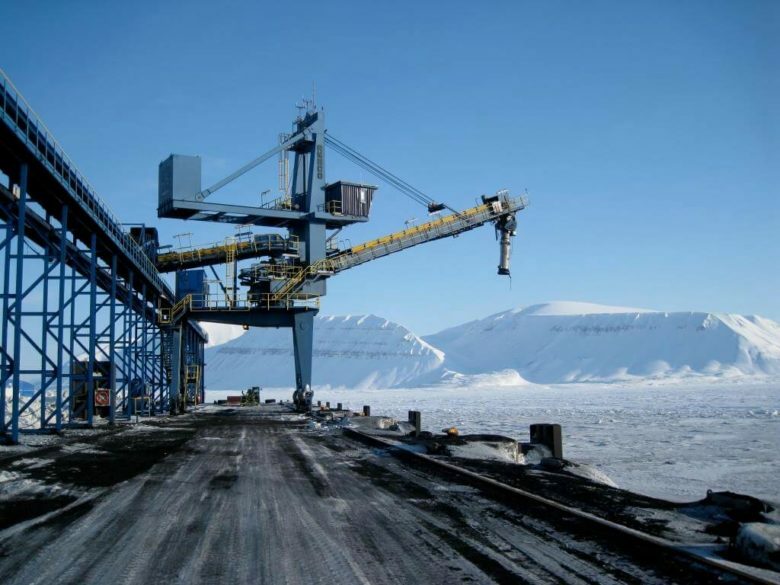 AMECO also offers export solutions for handling coal. Portal reclaimers have been historically the star product of AMECO since 1932 andare at the heart of the cement and mining industry for coal handling systems. 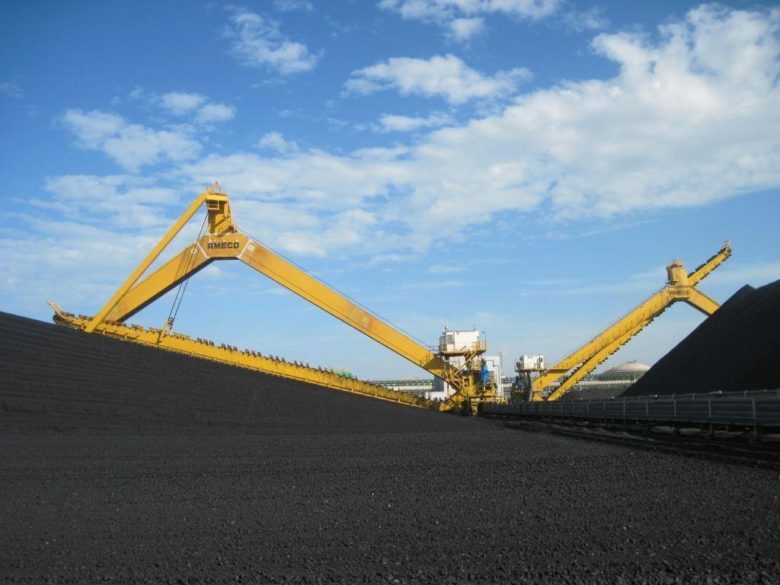 AMECO has great expertise in this type of longitudinal stockyard, and its reclaimers handle a wide range of bulk materials, including woodchips, urea, ammoniumnitrates, gypsum, iron ore and more. AMECO reclaimers can be combined with a stacker, creating a full storage system. Its stackers also combine slewing, luffing and travelling movements to create piles with as little dust emission as possible. AMECO machines can be specially adapted in order to be able to work with corrosive, abrasive or very humid materials. shiploaders on rails (travelling shiploaders), which can move along the jetty alongside the vessel, in order to reach the full loading area of the ship’s hatches. stationary shiploaders, which are generally used when environmentally hazardous material is to be loaded. The premium encapsulation of a stationary shiploader feed route prevents the release of hazardous bulk material into the environment. The boom of AMECO’s shiploaders can rotate clockwise and anti-clockwise (slewing motion of the boom) and go up and down (luffing motion of the boom) to perfectly load the ship hold and to adjust according to the water elevation, to the ship size, and to the ship’s increasing draught as it is loaded. AMECO also offers blending beds that homogenize the coal. This ensures that the product has a consistent quality, which inturn increases the efficiency of the power production process. 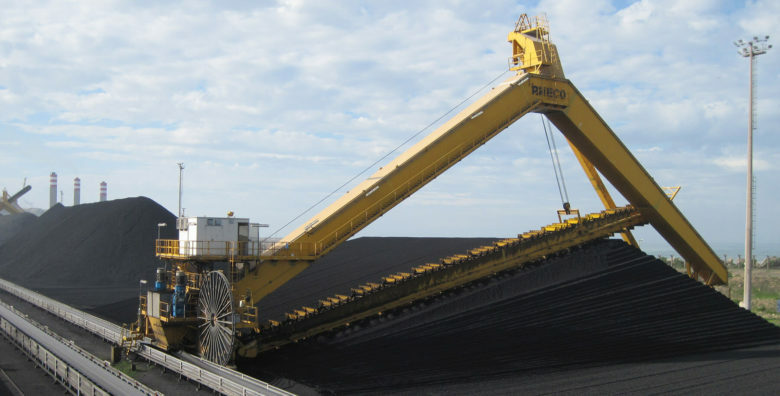 AMECO successfully supplied two single boom portal reclaimers to handle coal at a rate of 1,000tph (tonnes per hour) to the Mitsui-Daewoo Consortium in 2011. These two reclaimers are currently in operation on Jorf Lasfar Electricity Company’s new units 5 and 6 in Morocco, creating a third of Morocco’s total power output. 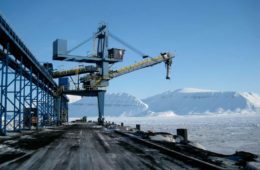 A project AMECO is particularly proud of is the delivery of a shiploader to load coal onto sea vessels at a capacity of 2,000tph to Store Norske Spitsbergen Kulkompani. 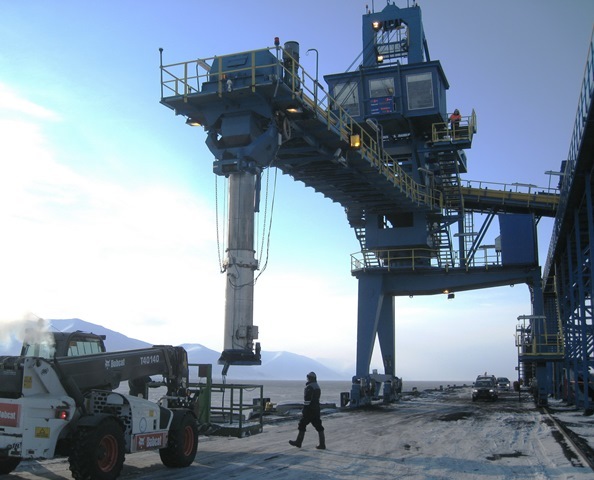 This Norwegian company operates the world’s northernmost mine in Svea, Svalbard. Due to the polar weather conditions, AMECO had to respect very strict delivery dates, completely re-examine its design, and ship the machine fully assembled. AMECO took all these challenges in its stride and the project was completed to the client’s satisfaction. Equipment which is still in operation today is the installation of a bucketwheel reclaimer in 1970 at TPP Nikola Tesla Power Plant, Obrenovac, Serbia. The key advantage of a bucketwheel system is the ability to efficiently move large volumes of dense material. By far the largest power plant in Serbia, TPP Nikola Tesla generates around 16TWh annually which covers almost half of Serbia’s needs for electricity. Other major customers for AMECO include AMEC Foster Wheeler, Toyo Engineering Corporation, Kiewit Corporation, Samsung E&C, Mitsubishi Heavy Industries, and Technip. End users include SIAM, LG&E, Cellulose, Qatar Fertiliser Company, SABIC, Holcim, Rio Tinto to name a few. Oversee, organize and coordinate the erection, commissioning and/or start-up of AMECO supplied equipment by a third party contractor. Complete erection, installation, and commissioning of equipment from unpacking to the handover. Ensuring clients always have the right spare parts available, not only at the right time and place, but also at the right price. Close collaboration with customers and feedback on their experience is crucial to AMECO and helps it to improve design based on what customers have to say. The company values its customer expertise and opinions in order to enhance its operations and services. AMECO follows the customer through its journey from the initial installation phase to the lifecycle of the machine. Remote maintenance is just one aspect of AMECO’s belief in keeping up with technological developments. This userfriendly and mistaken proof software and interface allows AMECO machines to be monitored remotely for detecting malfunctions, better informing its customers. AMECO recently completed the commissioning of one fit-for-purpose portal reclaimer handling urea at 480tph, with a rail span of 54 metres for a nitrogen operations facility in Texas. AMECO team designed and supplied an innovative urea storage solution with aportal reclaimer able to drag urea up to 20°below ground. Storage capacity was thus increased by 50% in comparison to the standard solution available from other suppliers on the market. Power consumption has also been reduced by re-injecting electricity back into the grid, in turn reducing operational expenses. This first-of-a-kind piece of equipment demonstrates AMECO’s superior product delivery and dedication to serve clients’needs in fertilizer, pulp, biomass as well ascoal power plants and port terminals leveraging 85 years’ experience in machine design combined with best-in-class predictive maintenance. Last but not least, AMECO knows that its customers operate in sensitive industries and it is one step ahead of its competitors in terms of machine safety and protection against external intrusions attempts.